Located in the heart of Murray Hill, 210 East 36th Street is a mid-rise postwar elevator building which was converted to cooperative in 1985. 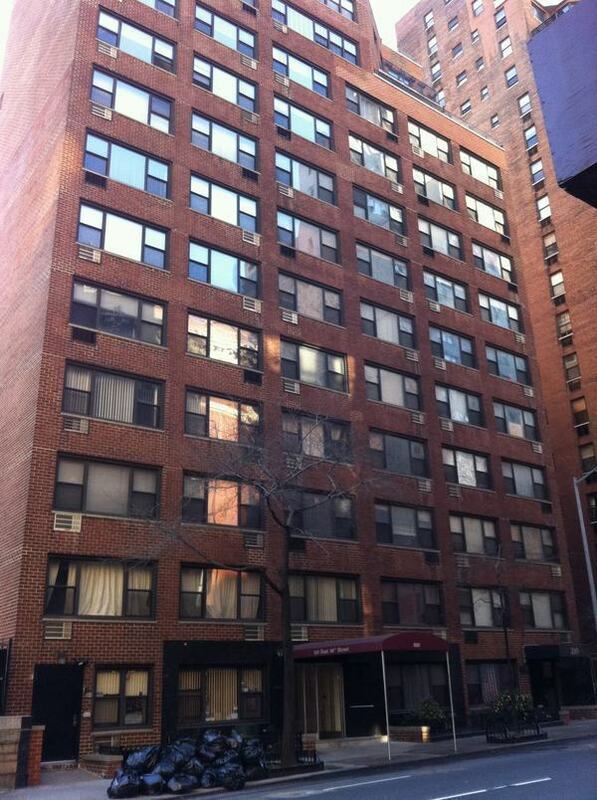 Please upload original Sublease Agreement (Blumberg form) with Paragraph #12 deleted and initialed. Please upload 210 East 36th Owners Corp. Application for Sublease (2 pages; 1 per applicant; enclosed). If applicable, please upload 210 East 36th Owners Corp. Application for Sublease/Guarantor Details (2 pages; 1 per applicant; enclosed). Please upload Credit Check Authorization (1 page; 1 per applicant and 1 for guarantor if applicable). Please upload Applicant Financial Documentation. Include most recent signed 1040 with W-2's/1099s and summary section(s) only of all financial institution statements, most recent month or quarter. Please upload Guarantor Financial Documentation. Include most recent signed 1040 with W-2's/1099s and summary section(s) only of all financial institution statements, most recent month or quarter. Please upload Verification of Employment Letter with annual salary, position and length of employment. If self-employed, a CPA letter verifying business income. If retired, please submit a letter to that effect. Please upload a Reference Letter from present Landlord or Managing Agent, or letter stating applicant owns his/her single family home or has been living with relatives in their home. Please upload two Business Reference Letters, on letterhead, with full contact information. Please upload two Social/Personal Reference Letters, with full contact information. Please read and complete House Rules Acknowledgement Form (enclosed). Please upload a copy of Shareholder's Certificate of Insurance. A copy of Subtenant's Insurance Certificate is due upon approval. Please complete and upload Window Guard Form. Please complete and upload Lead Paint Disclosure Form. Please complete and upload Emergency Contact & Intercom Information Form. Please complete and upload Move-in/Move-out Authorization Form. Please complete and upload Sprinkler Disclosure Lease Rider. Please upload Shareholder Application Letter. Please complete and upload REBNY Purchase Application. Please upload Credit Check Authorization. Submit 1 for applicant and co-applicant, and 1 for guarantor if applicable. Please upload fully executed (by all parties) Contact of Sale. Please complete and upload Financial Statement with all supporting documentation/ 2 most recent statements. Please upload last two Years' Federal Income Tax Returns, signed, with W-2's +/or 1099s. Please upload Verification of Employment Letter, or if self-employed, a CPA letter verifying business income or a corporate tax return. Please upload Reference Letter from Present Landlord or Managing Agent, or letter stating applicant owns his/her single family home or is living with relatives in their home. Please upload two Business/Professional Reference letters, on letterhead with full contact information. Please upload two Social/Personal Reference Letters, letterhead format with full contact information. Please read and upload House Rules Acknowledgement Form. Please upload copies of checks. If any part of the purchase price is being financed, please upload signed copies of Loan Application and Commitment Letter & with the original application only, 3 originals of the Aztech Recognition Agreement. If a monetary gift is being used to purchase the apartment, provide a copy of the Gift Letter stating amount & donor's name. Financing is limited to 80% of purchase price.